ViaVan is the new smart, affordable & easy way to get around your city. 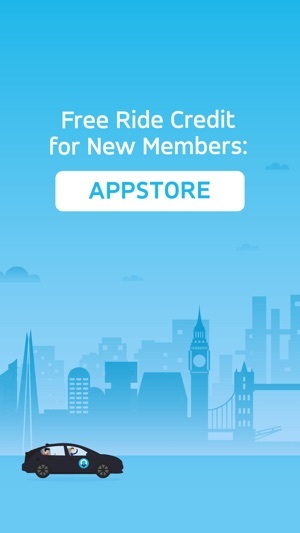 Request a ride on your phone and share with other riders going your way. 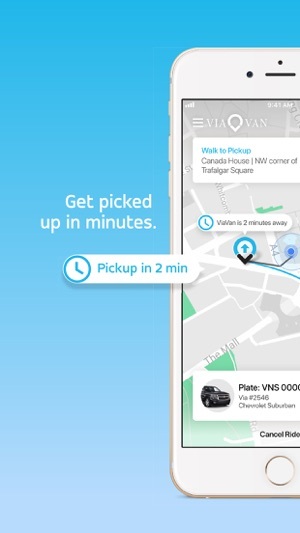 ViaVan is an easy, fast, convenient and smart way to get around. 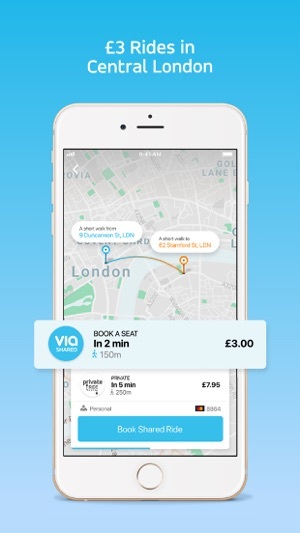 ViaVan is an on-demand, shared ride service that picks up multiple passengers heading in the same direction, keeping rides affordable and little more than the cost of public transit! Set your pickup and drop off to request a ride. We’ll match you with a ViaVan Driver headed your way. Our smart pickup coordination will direct you to a nearby corner to meet your driver, so your ViaVan and its passengers never have to go out of their way. We pool riders into the same car efficiently and without delays, keeping our price point affordable for everyone. With ViaVan, you can stop the busy and bossy rush hour commutes. Our drivers take you straight to your destination at low costs. Our smart algorithm was built for ride sharing and our corner to corner pickups make the ride faster and affordable for everyone. Save money on cabs and ride anywhere within our service area for affordable fares. Passengers get premium, convenient rides for only a few euros more than a city bus or subway. All payment is directly through the app, making paying for your ride fast and completely seamless. Having transit troubles? Send us a text message anytime, and we’re happy to help! We offer real-time customer support so you can enjoy your ride. We’re proud to represent such a diverse community of riders and drivers. ViaVan recognizes the value of sharing with our neighbors and believes that everyone benefits when we work together to make our city a better place. When we ride together, we benefit our city, our planet and one another. Welcome to the new alternative, transportation system. Share the ViaVan love! We’re sure your friends would rather ride with us than public buses, trains, subways, metros, bicycles, or expensive taxis. That’s why we make carpools fun. 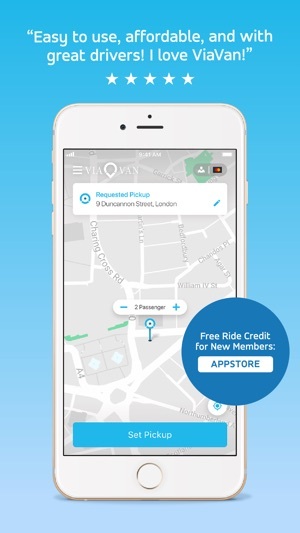 Refer friends to ViaVan and you will earn free Ride Credit when your friend takes a ride! Help keep our cities clean. Similar to carpools or shuttles, we can reduce congestion and emissions by sharing rides with one another. - Forgot to add your +1s? No biggy! You can now adjust your passenger count while waiting for the vehicle to arrive. - Leaving town? 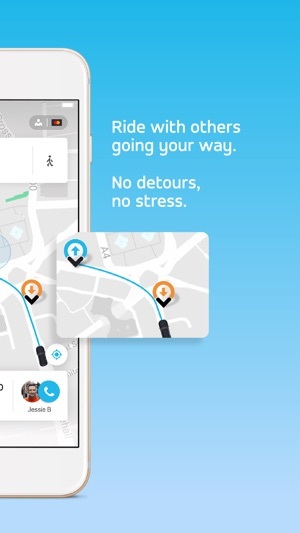 Riding to the airport has never been easier - set your destination terminal in the app. Loving the new app? Write a review to help others discover ViaVan! For comments / suggestions, email us at support@viavan.com - we'd love to hear from you! Just took my first ViaVan ride. Totally amazing - short wait time and only €2. So glad to have another option for getting around Amsterdam! It is impossible to remove your billing information from the account page. It is not possible to delete your account from the account page. You have to write to customer service. Absolutely unacceptable coercive measures and I don’t see how that is even legal. © 2018 ViaVan Technologies B.V.